Strategic planning is an essential business tool that cuts across every level of an organisation and also supports entrepreneurship. It is not only important for big organizations and corporations, it is also very useful for small businesses and those that are just starting out. Put simply, having an idea or vision of what you want to see your business become within a specific period of time and having a working plan to execute that hurls towards your vision, is useful and important for everyone regardless of the type or size of company. What Strategic Planning, as a tool does for your business is essentially this – it gives you the practical roadmap to achieve your company objectives and ultimately, your Vision. With this in mind, the importance of Strategic Planning to your business is not only immense but practically helpful. Here’s just a couple of key points to consider. Strategic planning involves both long term and shot term planning, making it suitable for every business and in any situation. Strategic planning helps you make long term planning by helping you set targets, also referred to as Strategic Objectives, for the future and how you will achieve it, i.e. the Actions you determine are necessary to achieve your targets. Most times, it is hard to make a long-term plan, which often includes making a blind projection. However, with formal strategic planning that encompasses many analytical tools, it does not have to a blind projection, it becomes a “informed” guide that translates to a practical guide towards your target. Historically, the obstacle most business owners faced while setting long term goals is the perception that their plans were mere ideas, not practical steps to achieving the set goal. Nowadays, formal long term strategic objectives help you think in terms of “big picture” goals and overarching visions. Long term objectives not only focus your attention to the future, it helps you align your short-term objectives too. Strategic planning will also help you acknowledge your success and failures along the way as you move closer to your target. The best way to be able to know if your plans are working or you need to “tweak” your plans is if you are able to update your plans and appraise them; all these can be done through the use of strategic planning software. For every long-term objective, there must be short term objectives which translate into day-to-day actions or activities, that essentially keeps the business running while pursuing the long-term objectives in the company’s Vision. For a short-term objective to be effective it has to be in alignment with the long-term objective you have set for your business. In other words, it is important for both objectives to synchronize so that the short-term objective will lead you to ultimately achieving your long-term objectives. While the long-term objective will be pursuing the “bigger picture” and ultimately, your company Vision, the short-term objective will be the targets you set to keep your business running as your hurl in the intended direction. Strategic planning unites the team and it makes every member of the team understand the purpose of whatever they are doing. Working together as a team gives each member of the team an understanding of what the short term and the long term objectives are, everyone works towards achieving these objectives. The greatest set back people encounter in their business is bringing people who do not understand the objectives of the business on board. It is not enough to know or understand the objectives of the business, it also important to have them align with these objectives. 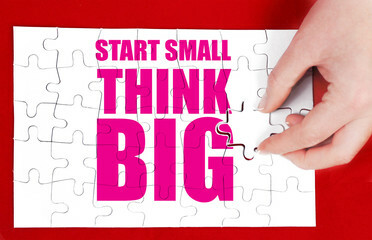 Strategic planning is an essential tool for every business regardless of type and size. It helps them set their targets and work towards achieving it; especially if you are in business for profits and growth.